Article: Kiplinger — Dividend stocks are all the rage now, for better or for worse, because bond yields have effectively dried up as the Federal Reserve kept interest rates at record lows. 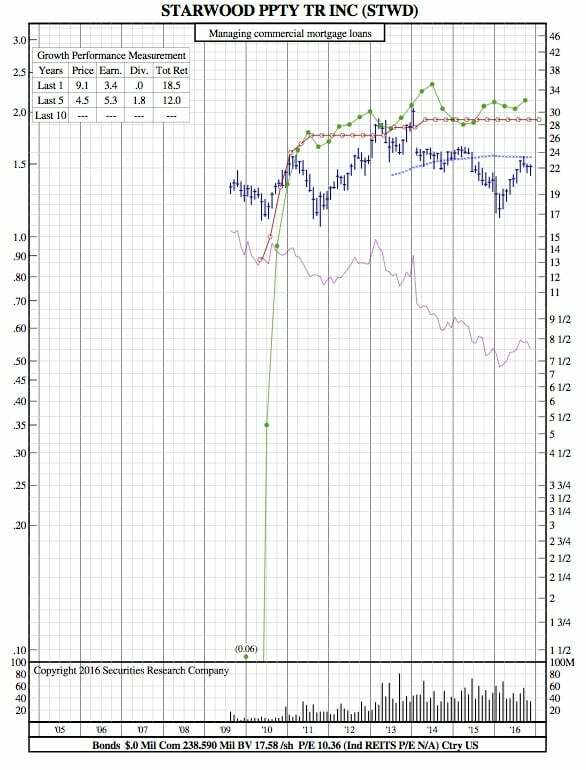 I’ve been of mixed feelings about this trend, because the chase for yield has led income investors away from the relative safety of bonds and into dividend stocks, which do carry more risk. Thus, as more and more money flows into dividend stocks, they start to get stretched as far as valuation is concerned. 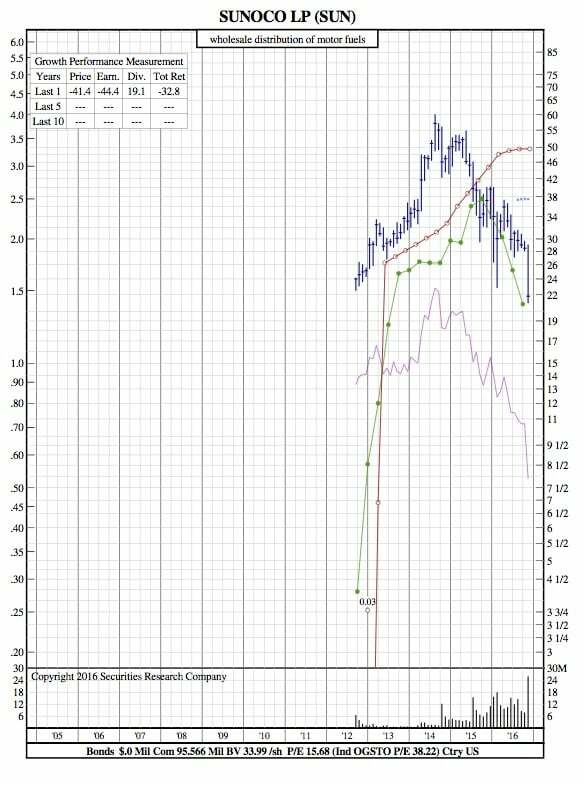 When it comes to stocks to buy, jumping in simply for the dividend isn’t a great idea. That’s because, should the valuations of these dividend stocks contract back towards the mean, the loss will be in excess of the dividends paid out over several years. Sunoco LP is a master limited partnership that offers one of the largest fuel distribution footprints in the country, through gas stations and convenience stores. Sunoco fuel is available to over 6,800 convenience stores and independent dealers, as well as wholesalers. It has 725 Stripes convenience stores, of which 440 have restaurant service; another 440 convenience stores in the eastern part of the country under the APlus name; and other retails and convenience stores all over the country. SUN started distributions in late 2012, and is distributing about $3.30 per share per year, a yield of about 11.6% on its stock price of $28.50. Given the high margins that convenience stores pull down, plus both wholesale and retail gasoline distribution, I think SUN is probably in very solid long-term shape. Starwood Property Trust, Inc. is not to be confused with the hotel company of similar name. I normally stay away from mortgage REITs, but STWD is a commercial play that I am comfortable with because it actually diversifies well beyond originating commercial mortgages. Yes, it does originate mortgage loans, of both fixed and floating-term, but I’m comfortable that their terms run under five years. In addition, when it comes to commercial mortgages, you want a reasonable loan-to-value ratio. STWD keeps that ratio around 60%. There’s also collateralized mortgage-backed securities in the REIT, it owns some property itself outright, the investments are diversified geographically as well as by type. I think another reason I like STWD for the long term is that it underwrites so carefully, with no actual realized losses to date. It has a yield of just over 9% right now, and it actually about 7% off recent highs, so it’s a good time to buy.